VICTORIA -- An election promise to bring ride sharing to British Columbia by the end of the year has taken a detour as the NDP government says safety of passengers and operators comes first. Transportation Minister Claire Trevena said Tuesday the government is studying safety and regulatory issues and she can't say when ride-sharing operations like Uber and Lyft will come to the province. She said the government isn't stalling. "It's doing what we said we were going to do in the [election] platform and when we took over as government. We're going to make sure passenger safety comes first," said Trevena. The New Democrats and Liberals pledged to bring in ride sharing this year during last spring's election. The NDP promised to "work with taxi drivers, taxi companies and ride-sharing companies to create a truly fair approach to ride sharing in B.C. that doesn't unfairly benefit — or punish — one group over the other." But Trevena now wouldn't put a timeline on the promise. "We want to make sure whatever we're doing, we're doing it safely, we're doing it judiciously," she said. "We're talking about people's safety here." Green Leader Andrew Weaver said B.C. can't wait much longer, which is why he will introduce for a third time a private member's bill to pave the way for ride sharing. He said the bill can spark debate this fall about the service, but neither the Liberals nor the NDP appear receptive. Liberal jobs critic Jas Johal said the Opposition has not been talking with the Greens about ride sharing and will have to fully examine the proposed bill before offering any kind of support. Trevena said the legislature is the proper venue to debate ride sharing, but the timing may be off despite Weaver's efforts. Weaver said taking the slow approach on ride sharing signals B.C. is not willing to explore new technologies. "We will never be viewed as innovators if we are not willing to embrace innovation," he said. Weaver said the NDP may fear a backlash from the taxi industry, but ride sharing represents the future. "What we need to do together is bring the legislation that enables change to occur in a manner that's fair," he said. "We don't need to wait years to do so." B.C. Taxi Association president Mohan Kang said the minority NDP government has committed to consult on ride sharing with stakeholders, including the taxi industry. "It is the responsibility of the government to ensure the public safety issue is addressed," he said. "The B.C. Taxi Association has said since Day 1, since 2012, we don't have any problem with technology networking companies coming to B.C., provided they come through the front door and meet the requirements of law." The association represents about 140 taxi companies across B.C. 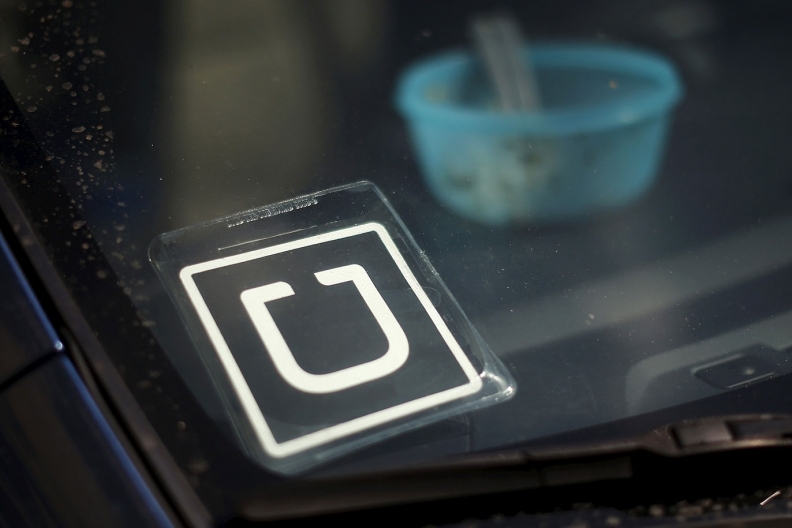 Uber Canada spokeswoman Susie Heath said in a statement the company is monitoring ride sharing developments in B.C. "During the recent provincial election, all three parties, including the NDP, pledged to bring ride sharing to British Columbia by the end of 2017," she said. "We encourage all parties to follow through on their election commitments to work together and make ride sharing a reality in 2017."